Do you feel like your entire management team has the right mindset about their subordinates working WITH them not FOR them? How much of your turnover is caused by not doing this? How much is this costing you? How do you change this mindset? 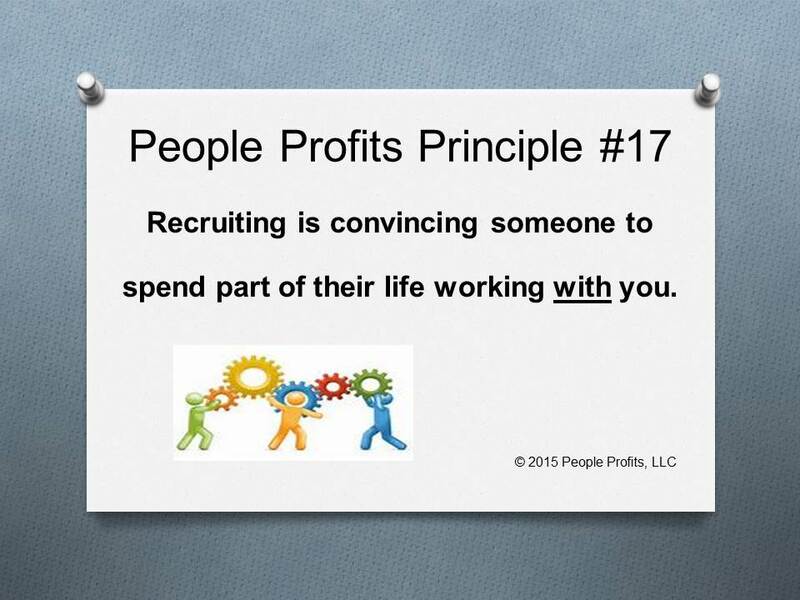 By following this principle you will begin engaging the employee during the recruiting process. Most employees do not feel they are working WITH someone - they feel like they are working FOR someone. Many times organizations say that once someone is "working out" - then they start to engage them. If you strive to engage someone from the moment they first look at you as an employer, then they have a better chance of "working out" and being engaged.